Thank You so much to the Knights of Columbus Harrow Council 5350 for their ongoing support. They held their annual Elimination Draw and Rib Dinner last night which was extremely successful and a sell out. 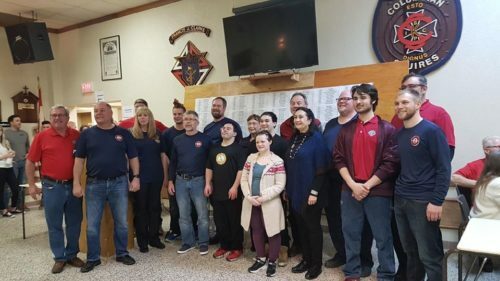 The Colchester Guardian Rescue and the Up about Down, Down Syndrome Association were the lucky recipients of the proceeds. A great example of charities working together for the betterment and safety of the citizens in our community.